Pictured here is the handpainted family record, or fraktur, of the Zuller family, probably from Minden, New York. In the central heart image, we can see that Abraham Zuller married Mary Moyer (1787?-1850) on April 11, 1808. Above this heart is a circle containing many Masonic symbols laid out in a familiar pattern. Among these symbols are the letter "G", which is interpreted within Freemasonry as a reference to the Grand/Great Architect of the Universe [i.e. God] or Geometry. The arch without a key stone is not only a Masonic symbol, it is specifically a symbol of Royal Arch Masons As depicted here, the dislodged key stone allows the light from the all-seeing eye to shine through. Other Masonic symbols depicted here within the circle are a coffin, a trowel, and mosaic flooring. With the inclusion of of Masonic symbols on this fraktur, leads us to speculate that it is likely that Abraham Zuller had Masonic ties. Surrounding these shapes are smaller hearts with the name of each child born to the Zuller family between 1808 and 1827. The children include: Daniel, Betsy, Caty, Abraham, Nancy, Mary, and John. These hearts, like everything on this fraktur, were handpainted by the artist. Later, as other children were born, hearts were written on in ink to give children's birth dates. These include Henry Zuller, born in 1827. Other small hearts give the death dates of children. Nancy Zuller died or "departed this earth" and was buried in 1829. Henry S. Moyer (1785-1860), the artist who created this fraktur in 1825, was of German descent and lived in Minden, New York. Moyer's style is considered as artistically as following William Murray, or "in the school of" William Murray. As with Murray's frakturs, the Zuller family fraktur is decorated with watercolor and ink on paper. Zuller Family Fraktur, by Henry S. Moyer, 1825, New York. Scottish Rite Masonic Museum and Library, A83/015/1. Franco, Barbara. Masonic Symbols in American Decorative Arts. Lexington, Mass. : Scottish Rite Masonic Museum and Library, Inc., 1976, p. 17-44. Arthur B. and Sybil B. Kern. "Painters of Record: William Murray and his School", The Clarion, vol. 12, no. 1, Winter 1986/1987, p.28-35. We get questions on a fairly regular basis from people who are interested in finding out more about their family history. Because of our collections, they usually come to us when there's a connection to Freemasonry or the American Revolution. We have some resources to help you get started with these kinds of questions, and we've put them together on a page on our website. The best place to get an introduction on how to approach genealogy that relates to Freemasonry is Paul Bessel's web page about Masonic genealogy. Freemasonry actually consists of various different organizations, so there is no single place where all Masonic records are kept. And in answer to that question that might be on your mind, I'm sorry to say that there isn't one giant database that contains the names of every Mason who ever lived. 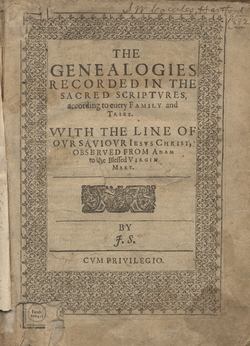 However, there is still plenty of material available that's related to genealogy and Freemasonry, so take a look at the two pages I linked to above, and let us know if we can help you further. The man pictured here is Josiah Hayden Drummond. Drummond was, among many other things, Sovereign Grand Commander of the Supreme Council 33°of the Ancient Accepted Scottish Rite of Freemasonry, Northern Masonic Jurisdiction (which, I should mention, founded and continue to fund the National Heritage Museum). Drummond served as Sovereign Grand Commander from 1867-1879 - the first Commander to serve after the so-called Union of 1867 that unified the Northern Masonic Jurisdiction's previously competing factions. Drummond's obituary in the New York Times mentions that he was a jurist, politician, mathematician, and genealogist. 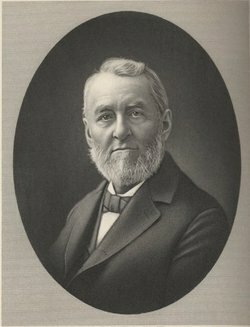 Born and raised in Maine, he served as Speaker, Senator, and Congressman in Maine's legislature, and was Maine's Attorney General from 1860-1864. For more information about Drummond's Masonic activities - which are many - you could consult the 1903 Proceedings of the Supreme Council of Sovereign Grand Inspectors-General of the Thirty-Third Degree for the Northern Masonic Jurisdiction (available in our library) where this engraving of Drummond, as well as a lengthy obituary, may be found. We have more materials available in our Archives too, related to Drummond's time as Sovereign Grand Commander. Drummond was also a Masonic writer, and we have a number of books written by Drummond. Perhaps the most familiar - at least to Mason's in Maine - is the The Maine Masonic Text Book, which was first compiled by Drummond in 1877 (Drummond was Grand Master of the Grand Lodge of Maine from 1860-1862). To find other books by Drummond in our library, please search our online catalog, or drop us a line. Oh, and if Josiah H. Drummond is, by some wonderful coincidence, related to you, let us know!